For many, qualifying is a long, hard-earned pursuit. Eleven years. Four pairs of shoes. Twelve miles in a snowstorm, wearing ski goggles. When runners try to qualify for—and eventually, if they're fast enough, compete in—the Boston Marathon, it takes all of that and much more. Furthermore spoke with several Equinox runners ahead of today's race to learn more about clinching their bib and putting in all the hard work that followed. Here are their stories. Cianca credits his qualifying time (3:03:08 at the 2018 New Jersey Marathon) to foam rolling, meditation, and restorative yoga. While it takes months to get race-ready, you're also primed for success in the hours before you toe the start line. His rituals include laying out his outfit the night before and visualizing himself moving through the course. Earning my bib felt like: "I finally did it—all my hard work paid off." How he eases pre-race nerves: Breathing in for five seconds, out for 10 seconds. "The longer exhale helps calm the nervous system." "Running makes me feel strong and capable and helps me in the daily discovery of a better version of myself," Atena says. With more than 30 marathons under his belt, he's figured that out over thousands of miles on his feet. He qualified for the 2019 Boston Marathon with a time of 3:10:00 at last year's race. I like myself more when I run. Homeostasis: his mantra. "I remind myself of the definition: the body's ability to seek and maintain equilibrium within its internal environment when there are external environmental changes happening. This state of mind helps me stay focused and relaxed during the pouring rain we had during the 2018 Boston Marathon." More Mediterranean, less caffeine: his nutrition strategy in the days leading up to Boston 2019. Schmidt qualified at the 2018 Providence Marathon (her first), crossing the finish line in 3:29:06. "It was a flurry of emotions, but mostly I just felt a ton of pride," she remembers. 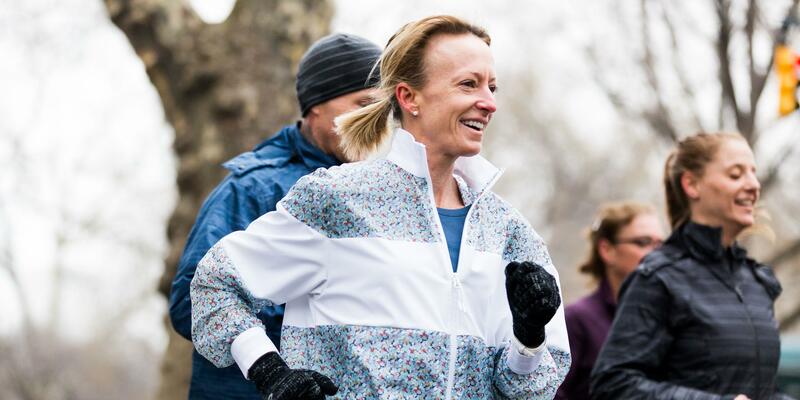 A few months later, she did it again in New York City, earning a spot in the 2020 Boston Marathon with a time of 3:23:44. 0: amount of speedwork she did while training for her first 26.2. 4: number of shoes she cycled through while prepping for Boston, wearing lighter pairs for intervals and cushioned ones for long runs. Canova Ks: the workouts (in which you alternate 1K at half-marathon pace and 1K at marathon pace) that helped her shave more than five minutes off her PR. Schmidt started with 8K and worked her way up to 12K. 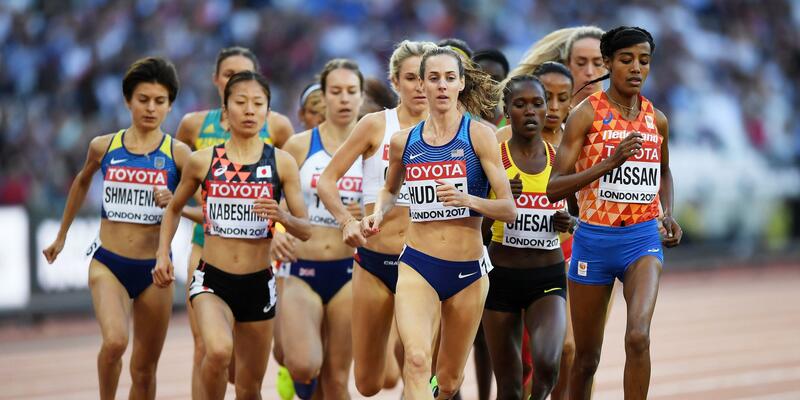 Her race-day superstition: She won't wear race gear until after she crosses the finish line. Though he missed the qualifying time by 22 seconds this year, Madden has earned his bib 11 times. This first was in 1999 at the Cape Cod Marathon, where he narrowly missed running a sub-three-hour race with 3:00:56. This year, Equinox gifted him with a bib. "It's the ultimate Boston event and I feel blessed to participate," the former Marine says. "It's a meaningful and worthwhile challenge." Ski goggles: the piece of gear that allowed him to log a training run in a snowstorm while prepping for Boston 2019. "I had a 12-mile run scheduled for that day, so I bundled up, put on my goggles, and did it." Semper fidelus: his race-day mantra. Meaning "always faithful," it's the Marine Corps motto. Math: how he distracts himself when he starts losing steam. "I've been using GPS for years, so I do a lot of math problems, figuring out what my pace needs to be." After chasing a Boston bib for five years, Fitzgerald finally earned it at the Philadelphia Marathon in 2017. His time: 2:58:55. He translates his feelings that day into three words. "Relieved. Accomplished. Proud." His go-to workout: Pilates. "I realized that in order to be a great runner, you have to build a strong body from head to toe." Running hurts in the best kind of way. The diet staples: coconut water and beet juice. "It helps increase nitric oxide levels, which in turn ups blood flow and improves lung function." His lucky charm: Eye black. "It's like I'm becoming a warrior, preparing for battle. I transform when I have it on—I'm ready to attack the race ahead of me." I run because: "It makes me feel incredible, inside and out. It's always been there for me and it brings the most insane sense of accomplishment when I do what I previously thought was impossible."